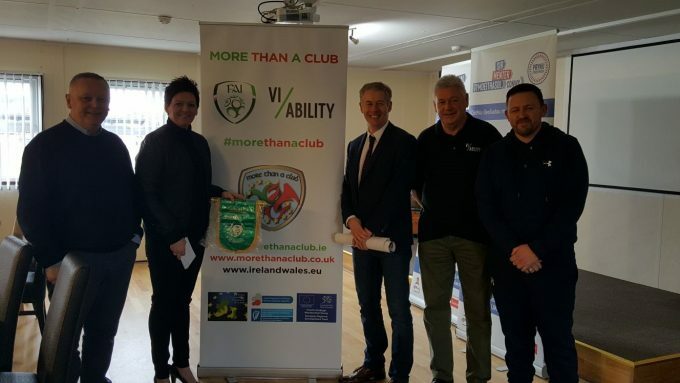 The North Wales town of Conwy still holds a strong allegiance with Vi-Ability, as that’s where founder, Kelly Davies, came up with the business venture in the very grounds of the club, from which an award winning social business blossomed. Vi-Ability still holds their head office in Conwy Borough’s ‘Y Morfa Venue’ and has done for the last decade. 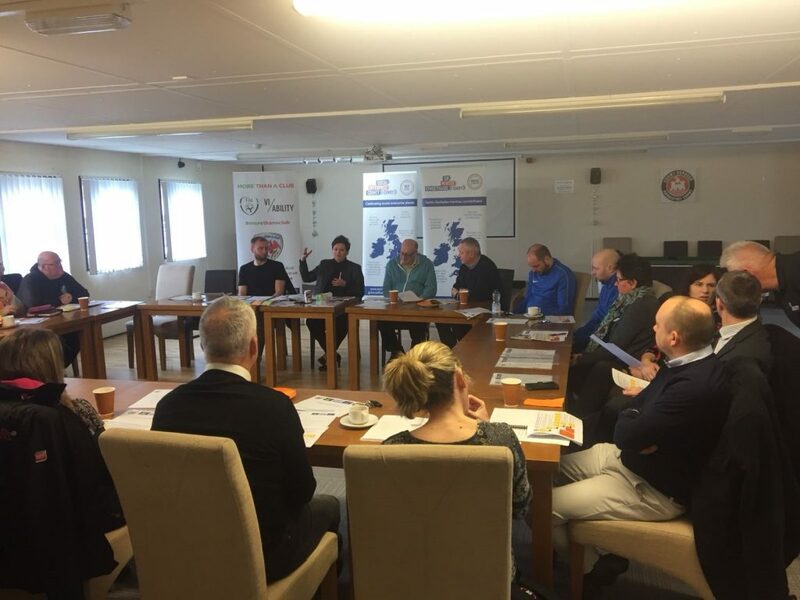 It was therefore a perfect fit that Conwy Borough FC joined like-minded partner clubs, Haverfordwest County and Irish clubs, Bohemian FC and Cork City FC, as part of the Ireland Wales Project. “It’s been wonderful to come back to our roots here in Conwy and celebrate the launch of “More Than a Club”. It’s been overwhelming to see how much of a strong response we’ve had from potential partners. They have pledged their support, and it’s refreshing to see that many of these organisations and individuals have been loyal supporters of ours from day one. We are really excited about the prospect of doing things slightly different here, working together towards shared goals, helping others to achieve their potential, and seeing the true impact of what can be achieved by doing so”. In attendance were representatives from the Football Association of Ireland, Derek O’Neill and Clare Conlon. Derek observed; “It’s great to see the positive response that Conwy Borough FC has received from key local stakeholders who have attended today’s launch. It’s testament to the power of football to mobilise people and those socially focused agencies dedicated to helping people locally. The goodwill already forged with the football club in Conwy is testament to the great work being done by Kelly Davies and the “More than a Club” team here at the club and it’s very encouraging as we look to the future development of this Inter-regional cooperation project”. 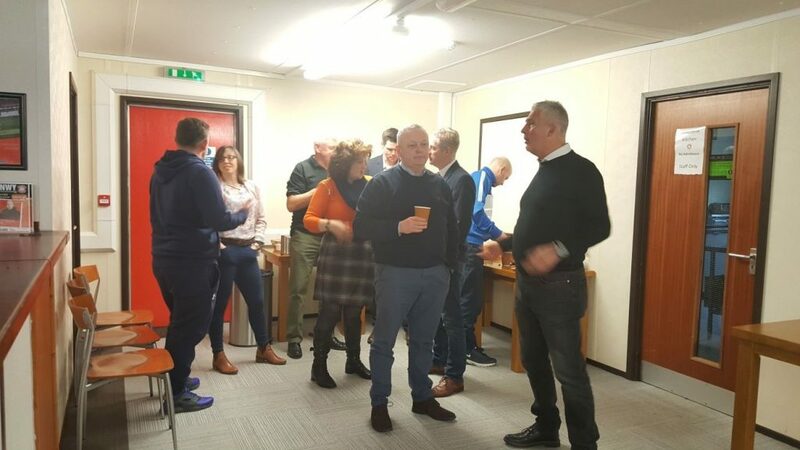 The final club launch attracted members from the local council, voluntary services, the Welsh Football Trust and many more. Those who were in attendance, also took the opportunity to have around the table ‘open’ but frank discussion about the more detailed plans that are being proposed and how best they should come to fruition. The idea is to create community ownership, empowerment, and transparency from day one. For more information about the project in Conwy, please email kelly@vi-ability.org or contact the office on 01492 583 555.